Perhaps no other natural phenomenon has captured the imagination of adults and children alike more than snow. Snow men, snow angels, snowflakes — these objects fuel our childish wonder at the fluffy white material that we call snow. Snow, a precipitate that comes only in winter, is formed from water droplets that gathered in the atmosphere. 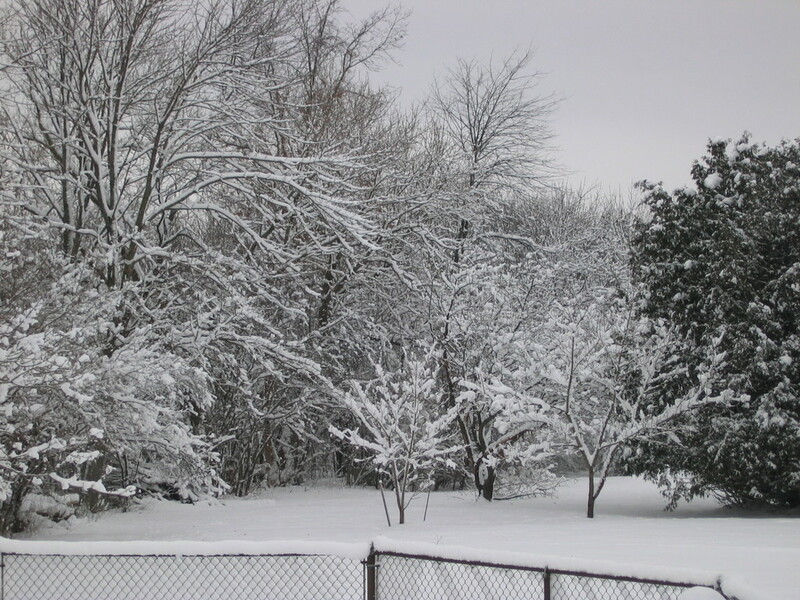 Instead of raining water, snow is formed because of the freezing temperature in the Earth’s atmosphere during winter. Contrary to popular belief, the Earth’s distance around the sun does not cause temperatures to go down in winter. In fact, the Earth is farthest from the sun in July and closest to the sun in January. So why is it cold in winter? During winter, the sun’s rays hit the Earth at a shallow angle because of the Earth’s axis tilt. These rays are more spread out, which lessens the amount of energy that hits any given spot. Also, the long nights and short days during winter prevent the Earth from warming up. Thus, we have freezing temperatures in winter! Because of the low temperature, precipitate in the sky falls not as rain, but as snow, which is a solidified form of moisture. It is different from sleet or ice because of the way the ball of frozen moisture melts and freezes as it falls to the ground. It becomes bigger as it falls when more water vapor sticks to it and freezes in the cold air. When the ball of moisture comes in contact with warmer air, it melts. This melting acts like a glue, which causes crystals to bond together into larger flakes, forming those “classic” fluffy snowflakes. The uniqueness of each snowflake’s pattern depends on the surrounding air’s temperature and water vapor content. If it is below freezing and there is a lot of water vapor in the air, the crystal grows six evenly spaced branches. More and more water vapor collects on these branches and freezes, making the ice crystal increasingly heavy. Eventually, the ice crystal falls from the sky, leaving the cloud of precipitation that it helped to form. How does snow turn to sleet or hail? When ice crystals fall towards the ground, it may encounter a warm draft in the atmosphere. When they melt and refreeze, they form fluffy snowflakes. However, when these ice crystals melt too fast and then refreezes before it falls on the ground, it becomes sleet instead of snow. Hailstones, on the other hand, forms when pieces of ice crystals clump together and get blown through freezing thunderclouds until they are heavy enough to fall to earth. Hailstones are different from snow or sleet because they are frozen solid with a nucleus inside. This nucleus may be formed from a small cluster of supercooled water droplets or clumps of snow. The nucleus, called the graupel, can also form from a bug, a piece of bark, a seed, or a stick that gets blown up into the storm cloud.